This video describes the way that I’ve designed all of the raised bed frames on my allotment plot to be a standard size, with optional mesh, poly-tunnel and cold frame tops. The frames can be stacked to create deep beds and hot beds too. 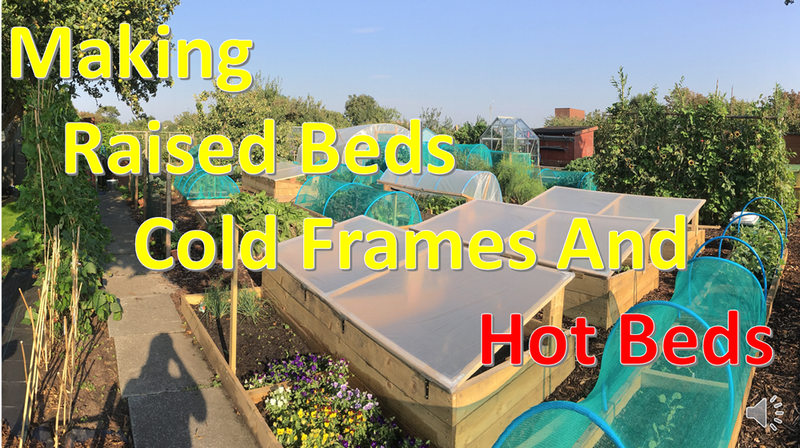 The video then goes into more detail on the cold frame and hotbed design and shows how well the hot bed worked this year. In future videos I will provide more live action details of the beds in action and the design of the various covers, including the hoop tunnels which have been amazing. It’s worth noting that the cold frame lids can be easily removed in late spring and stored until early autumn when they are used again.